Home » To Razor or not to Razor? When windows are merely dirty, just a vigorous scrub and a crisp squeegee rubber are all that is needed to clean them up. 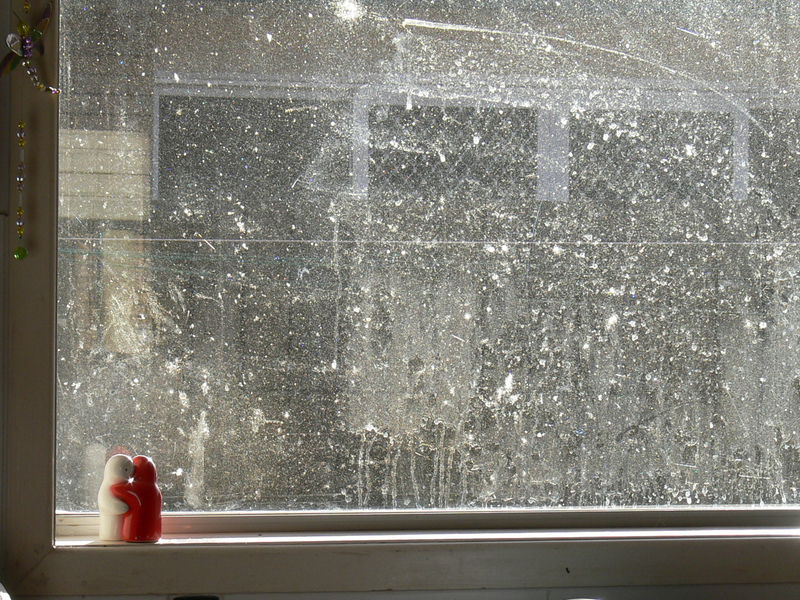 Sometimes, though, the window in question has grime which call for more aggressive action. In addition to using an effective window cleaning solution and a good applicator, sometimes special abrasive pads are needed. These pads are tough on gunk but safe for nearly all glass surfaces. Whether you have pollen, sap, fungus, or what have you, I have found that a good window cleaning solution combined with selective use of safe scrubbing pads can do a fantastic job of loosening the debris for the squeegee to do it’s job. Some window cleaners, however, will whip out a razor blade for even the most minor of debris. With the way windows used to be manufactured, this wasn’t a problem. You see, windows used to be made simply of hard, razor resistant glass. In fact, professionals have depended on razors to clean windows for years. However, nowadays, many windows are coated with special films for tempering, ultra-violet protection, energy efficiency, and so forth. These “high performance” windows may be great in many regards, but they also are, unfortunately, easily scratched. Razors should not be used for many of today’s newer windows. In fact, I have seen all too many homes with large portion of their windows scratched from improper use of a razor blade. 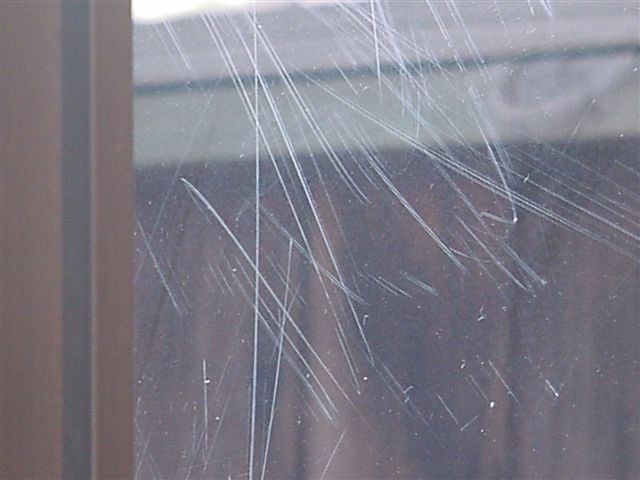 Window cleaners without the proper training and/or experience unknowingly scratched the glass and in some cases proceeded to scratch all the windows in the home. From my experience, I have made the decision to only use razors in very specific situations where only the use of a razor will remove the debris. Paint, stickers, stucco and other debris often will only be removed with the sensible and cautious use of razors. Many jobs with extensive paint, however, I will decline. Don’t let your windows get scratched, find out today if the company you plan to hire for your window cleaning job is razor-wise.